I recently read an article claiming that Paul “L’Oreal Chestnut Brown Tint For Men” McCartney wrote The Long And Winding Road for Tom Jones, who then turned it down. Doubtlessly he was too busy struggling in and out of his tight trousers and brushing his chest hair to contemplate hollering a song written by a mere Beatle. I find that just too hard to believe. OK, The Long And Winding Road is almost unbearably sentimental to listen to without spontaneously vomiting, but still, why would Tom say no? Most interesting of all is the fact that Macca wrote songs for for others whilst in the Beatles. But it seems all artists feel the need to spread their abilities, terrified by the prospect of confinement by the group aesthetic. Albeit, in Paul’s case, this confinement would have been from The bloody Beatles, a claustrophobic arrangement most people could probably just about live with. 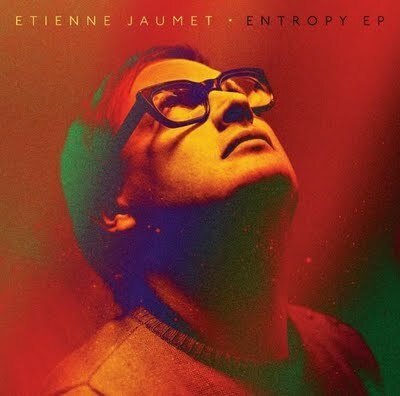 Etienne Jaumet is one half of the interesting Zombie Zombie, is in a host of other bands, and yet still craves independence. Thankfully, I may add, as his LUST FOR SOLO GLORY has resulted in a cluster of sparse, delicate and addictive electronica. Entropy is a deliciously restrained, techno shudder that ramps up the tension as it maintains its steady onward trundle. Inevitably, it fizzles and dies before any anticipated bassy explosion. While minimalism is key to Etienne’s music, he’s also an eclecticist: Madeleine is as a birdwatcher’s audio cast-off, a Commodore 64-obsessive’s record collection and an easy-listening connoisseur’s choice cut, all in one. Perhaps Etienne Jaumet‘s music is a side-project, something made to pass the time or simply an audio investigation. Like, Whatever: the end result is curious, relaxing, and unexpected, in that order. Posted on November 9, 2009 by Joe Sparrow. This entry was posted in Today's New Band and tagged I am calm, Lust for glory, relaxed muscle. Bookmark the permalink.